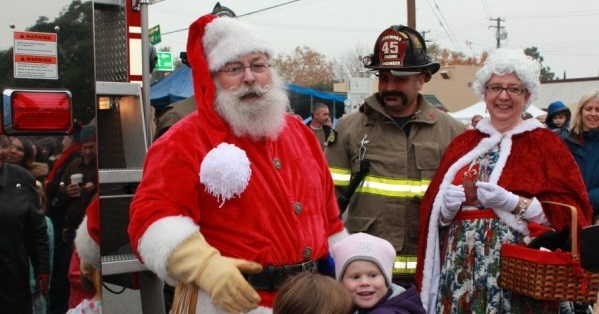 Elk Grove Dickens Street Faire – A fabulous, fun and festive experience for the whole family! Proudly produced by the Old Town Elk Grove Foundation, the Dickens Street Faire is the traditional start of the Elk Grove Yuletide Season. Held every year on the first Saturday after Thanksgiving, it is a wonderful and exciting experience you can share with your whole family. See Santa get rescued by our trusted fire department. Stroll through Old Town and explore local shops, enjoy holiday music, craft and vendor booths, eat delicious holiday foods, meet wonderful Christmas characters, and mingle with your friends and neighbors. This year, over 100 arts and craft vendors, commercial vendors and community groups fill Elk Grove Boulevard from 2nd Avenue to School Street, while the food vendors are conveniently located in the Old Town Plaza . Free entertainment is available all day featuring live music and performers, professional photo opportunities with Santa, Christmas carolers, and much more. And don’t miss the all new FREE kids craft corner in “Oliver’s Alley” and from 10 am to 4 pm. At 5:30 pm the sun sets Santa will help lead the crowd in singing Christmas carols. He will then flip the switch to light the town Christmas tree at Walnut Street. After the tree is lit, Santa and Mrs. Claus will take some time for hot cocoa and cookies with the children. You may bring your camera for free photos with Santa at this time. 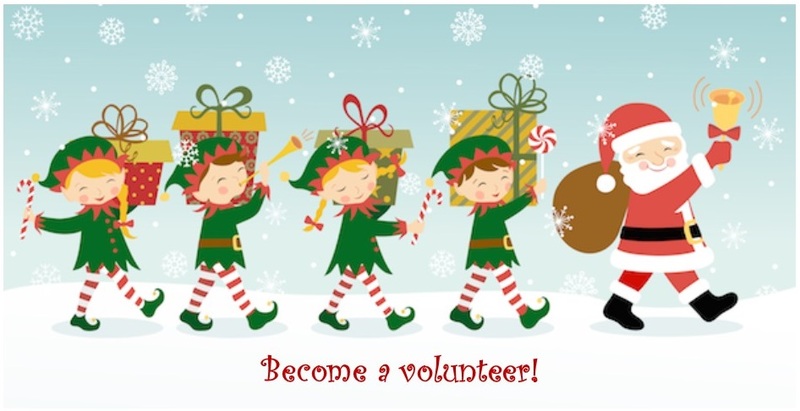 Santa rescue at Elk Grove Lock and Safe – Elk Grove Blvd. Professional photo opportunities with Santa! Bring your own camera to “Oliver’s Alley” for pictures with Mrs. Claus! More photo opportunities with Mrs. Claus – Be sure to check the stage schedule to join us for Story Time with Mrs. Claus! 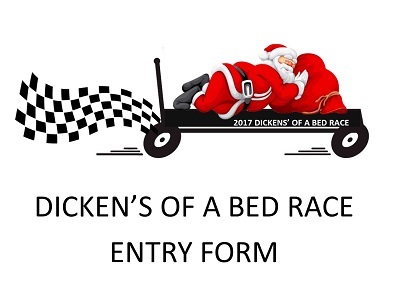 Dickens’ Of A Bed Race – The race will be held on Railroad Ave with the best view point from inside the Old Town Plaza. 5:30 pm Christmas Tree Lighting (Special thanks to the Lack Family and United Rentals) at the corner of Elk Grove Blvd. and Walnut. Cookies with Santa! After Santa lights the tree, you’ll have another opportunity to visit with Santa. Cookies and hot cocoa are provided. Bring your camera! Bring the whole family to celebrate the start of the holiday season! Please remember no alcohol is allowed. Well-behaved, leashed pets are permitted. We are happy to announce that our vendor information is all on-line! You can submit all of your documents through the link below. Kick off the holiday season by participating as a vendor or by being a sponsor in support of Elk Grove’s biggest holiday celebration. With more than 18,000 attendees expected, don’t miss your opportunity to be a part of the Annual Dickens Street Faire. If you are interested in becoming a sponsor of the 2018 Elk Grove Dickens’ Street Faire, please click the link below to view our packages. 2019 Sponsor Packet – COMING SOON! For more information, please contact our event coordinator directly. The Old Town Elk Grove Dickens Street Faire is the traditional start of the Elk Grove Yuletide Season, held every year on the first Saturday after Thanksgiving. Stroll through Old Town and explore local shops, craft and vendor booths, meet wonderful Christmas characters, dine al fresco and mingle with friends and neighbors. We hope you can join us! For media, sponsor or other inquiries, please email Rebecca Gordon at rebecca@flashracemanagement.com.